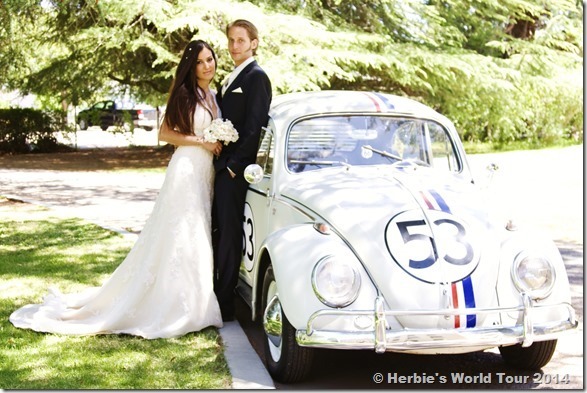 Our Love Bug, Herbie, traveled with us all around the world. We started on September 20, 2009, and spent almost four years on the road. Since that we visited 80 countries on six continents (including all 48 lower United States of America) by crossing 115 international borders. Herbie made more than 134,000 miles (or 216,000 kilometers). Herbie’s World Tour started in our native city, Vienna, Austria. Initially we headed eastwards, leaving Europe and crossing the Middle East as well as Asia. From the east coast of India, we shipped Herbie No. I and our camper to Melbourne, Australia. In the meantime, we backpacked all over Southeast Asia by buses and trains. After touring around Down Under we put our set-up into another container going by ship from Brisbane to the port of Long Beach in California, USA. In 2010, we covered all 48 continental United States by driving from coast to coast several times. In the year 2011, we explored Canada, Mexico and entire Central America (Guatemala, El Salvador, Honduras, Nicaragua, Costa Rica, Panama and Belize), as we were traveling down to its dead end in Panama as well as all the way back to California again, where we stored Herbie No. I for a little while. During summer 2011, we toured all over Europe in Herbie No. II, who we resurrected, after he was parked in the garage of Domi’s father for a couple years. We also had to get hold of second camper before we could go on “Herbie’s Euro Trip”, as the other trailer ended up in California. Therefore we drove to Eastern Germany to buy another “QEK”. After exploring our native continent, Europe, we got back to the USA in order to activate Herbie No. I once again and to complete the huge missing section of the Pan-American Highway. So, we toured across the United States and Mexico, shipping the Love Bug from Veracruz to Colombia. From there we followed the so-called “Panamericana”, heading South to Argentina as well as all the way back again. In December 2012, we started the most adventurous chapter of Herbie’s World Tour by touring the last missing continent, Africa, in Herbie No. II pulling the little camper. We headed from Vienna to Genoa, Italy, in order to get our set-up on a ferry to Tangier, Morocco. From there we crossed the African continent, traveling down the West, eventually reaching the Cape of Good Hope. After reaching the most south-western point of the African continent, we headed back North again, but this time on the other side of Africa. On our long way up we had to go along the notorious “Trans-East-African Highway” in Kenya, which we managed in the middle of the rainy season without a single tow. After crossing the Lake Nasser as well as the Mediterrnean Sea by ship, we eventually got back to Eurasia and Europe. Herbie’s World Tour has been continuing since then, of course. In summer of 2016, for instance, we traveled the US Southwest again. Herbie accompanied us for two months driving thousands of miles cross country. Whenever we have the chance to take Herbie for another ride – we take it! So, there is even more to come! Stay tuned!